Consumers’ satisfaction with inpatient mental health care is recognized as a key quality indicator that prospectively predicts functional and clinical outcomes. Coercive treatment experience is a frequently cited source of dissatisfaction with inpatient care, yet more research is needed to understand the factors that influence consumers’ perceptions of coercion and its effects on satisfaction, including potential “downstream” effects of past coercive events on current treatment satisfaction. The current study examined associations between objective and subjective indices of coercive treatments and patients’ satisfaction with care in a psychiatric inpatient sample (N = 240). Lower satisfaction ratings were independently associated with three coercive treatment variables: current involuntary admission, perceived coercion during current admission, and self-reported history of being refused a requested medication. Albeit preliminary, these results document associations between patients’ satisfaction ratings and their subjective experiences of coercion during both current and prior hospitalizations. The views expressed in this manuscript are those of the authors and do not necessarily represent the views of the Department of Veteran Affairs or United States Government. The authors have no competing interests. Partial support for this research was provided a by grant to Marian I. Butterfield, from the Department of Veteran Affairs, Veterans Health Administration, through a VA Merit Review Grant PCC 02-054 and an Advanced Research Career Development Award (RCD 00-019). Dr. Butterfield died on June 26th, 2006 after a courageous five-year battle with breast cancer. The authors would like to acknowledge her work on the research described in this report and celebrate her many significant contributions to the field of psychiatry and to the care of our nation’s veterans. Additional support for this manuscript was provided by a VA Research Career Development Award (RCD-06-020) and Associate Investigator Award (AIA 04-025) to J.L.S., a VA Research Career Development Transition Award to C.E.M., and the Mid-Atlantic Mental Illness Research Education and Clinical Center (MIRECC). M. W. was supported by an HSR&D Senior Research Scientist award from Department of Veterans Affairs (RCS 91-408). Kjellin, L., & Wallsten, T. (2010). 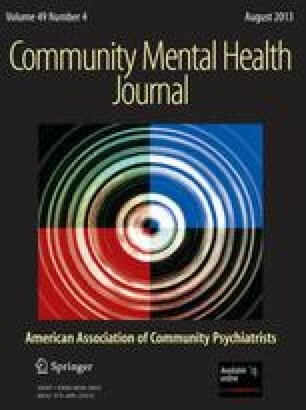 Accumulated coercion and short-term outcome of inpatient psychiatric care. BMC Psychiatry, 10, 53. http://www.biomedcentral.com/1471-244x/10/53. MacArthur Research Network on Mental Health and the Law (2004). The MacArthur Coercion study, May 2004 update of the executive summary. Retrieved from http://www.macarthur.virginia/edu/coercion.html. The President’s New Freedom Commission on Mental Health. (2003). Achieving the promise: transforming mental health care in America, executive summary. Retrieved from http://store.samhsa.gov/product/SMA03-3831.